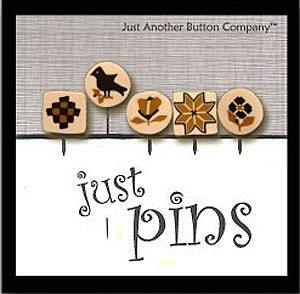 Just Another Button Company has this great collection of themed decorative pins called Just Pins, of coarse. They are Quaker Stitch themed. 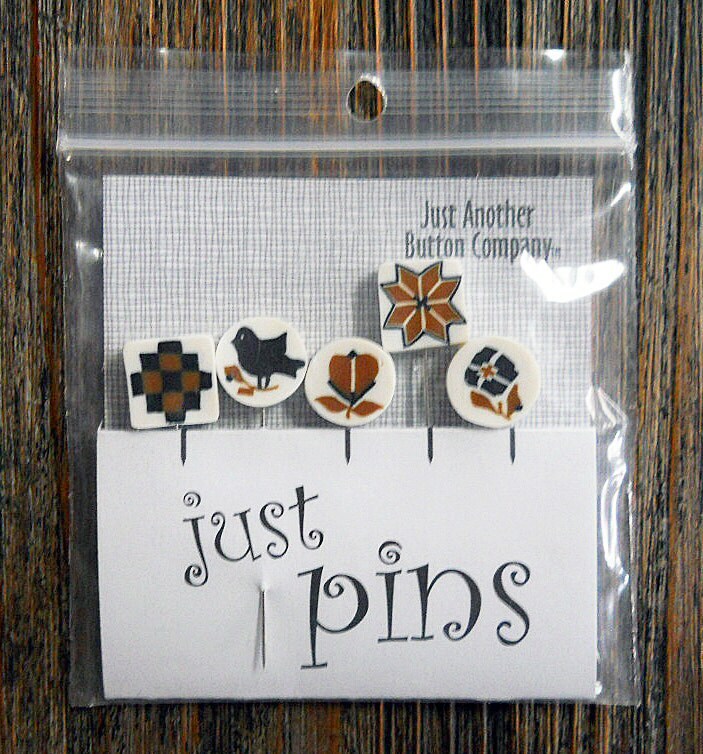 One each of different Quaker themed: Flowers, Crow and quilt blocks.